From the main menu in the left sidebar, ensure Desktop is selected in the tab as shown below. 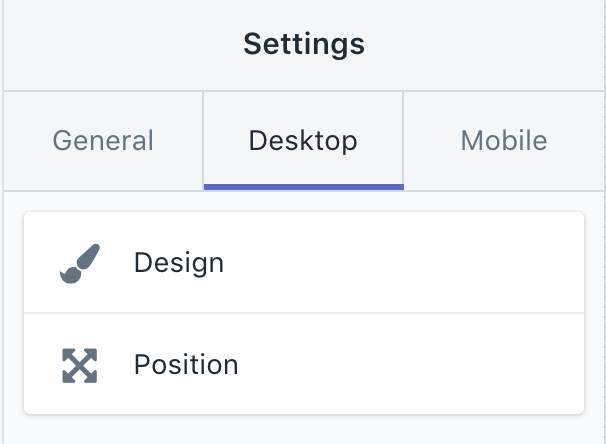 Click either Design or Position. Clicking Design will show the settings below. Clicking Position will show the setting below. After making changes, click the Save button to save the changes. To undo your previous changes, click the Clear button.